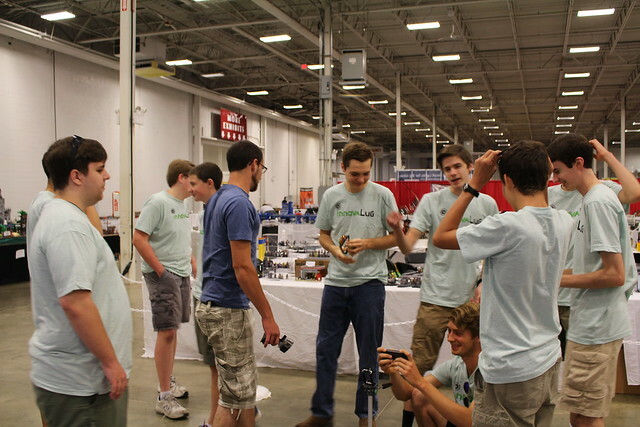 BrickFair Virginia was quite the memorable experience, and was the first time more than 4 InnovaLUG members were physically present in the same place. We took some videos of our first live collaboration, Ye Old Merry Battleground, at the convention and combined them in a video and then added some other videos and pictures that we took related to the event. 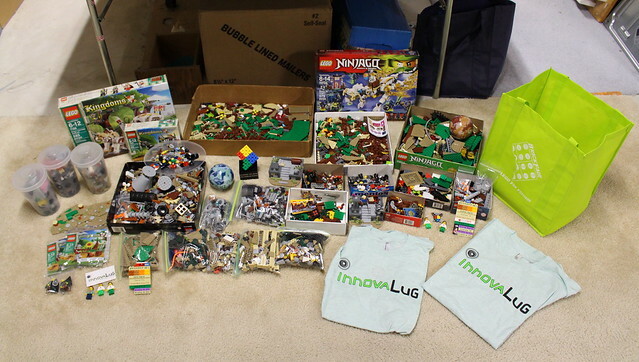 We did a ton while there, and we met many fantastic builders from the online community! 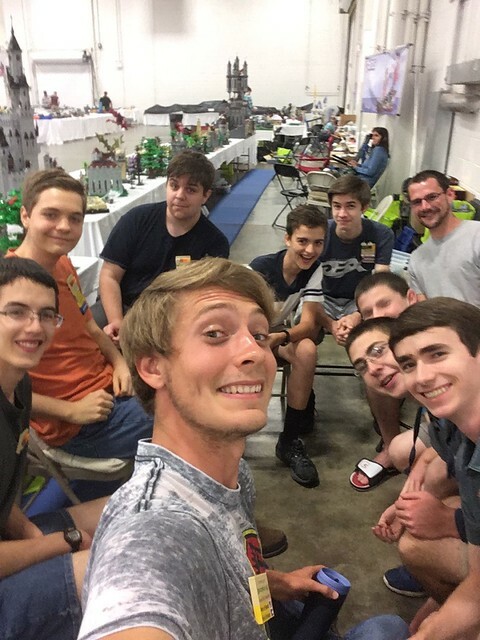 It's amazing to be able to meet and spend some time with the people you semi-know from online LEGO communities like Flickr, MOCpages, and YouTube, and getting the chance to meet some new people! Read on for a few stories, pictures, and some hints at what's to come! Getting to BrickFair with LEGO creations is not an easy task. Actually, transporting LEGO creations anywhere is a challenge. Depending on your vehicle or luggage space, you have to plan ahead with transportation in mind. More often than not, large creations that need to be transported have modular components. This means that there is always some setup time at the convention where the LEGO creations are put back together. In some cases, the LEGO creations are actually finished for the first time at the event. 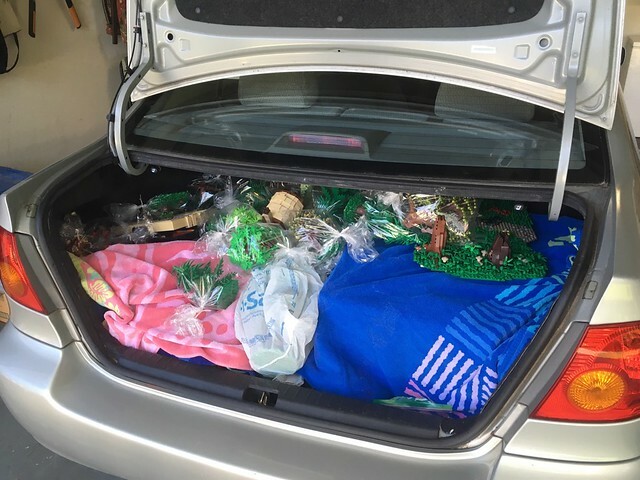 Below are Mark and Steven's trunk packed with LEGO creations and Isaac and John's boxes full of their LEGO creations ready for the long drive. 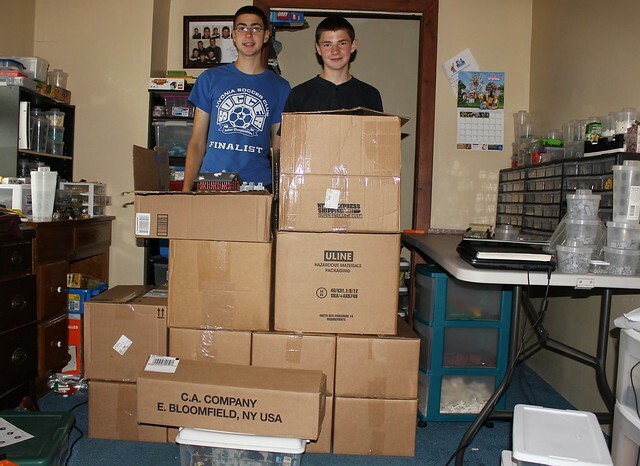 Here is Isaac and John's enormous load! Although we weren't going to initially, we decided to have InnovaLUG T-shirts made so that we could all wear one on Saturday. Because it was too cool to pass up, we decided to do an epic walk video with Mark's phone. Ian Spacek later added music and effects to the final video, we ended up using two of the three edits that he made. 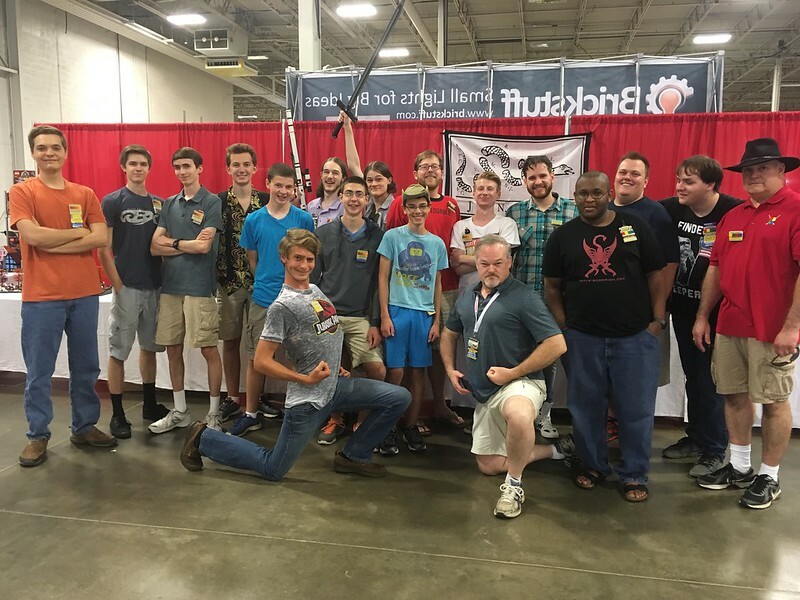 We got the chance to spend some time with a bunch of castle builders at the event, and managed to get a photo! We're definitely looking forward to hanging out with them some more at future events! If you watched the video, you would have seen the setup about Steven's dragon and how it got swapped with a LEGO Duplo dragon! Gary was sent to find Steven and ask him to show him his dragon. Mark captured the moment on video! Below is a picture of the Duplo dragon. It seems to be a tradition at BrickFair VA to visit Willard's, a steakhouse that's a few minutes' walk away from the convention center. 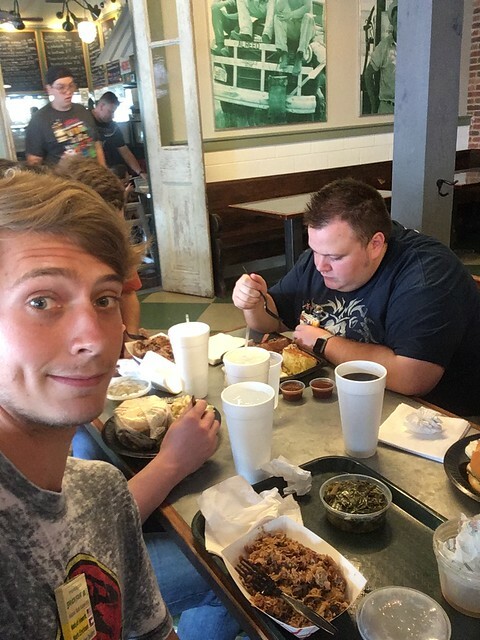 A few of us went to Willard's for lunch one day, and yes, we will be returning! 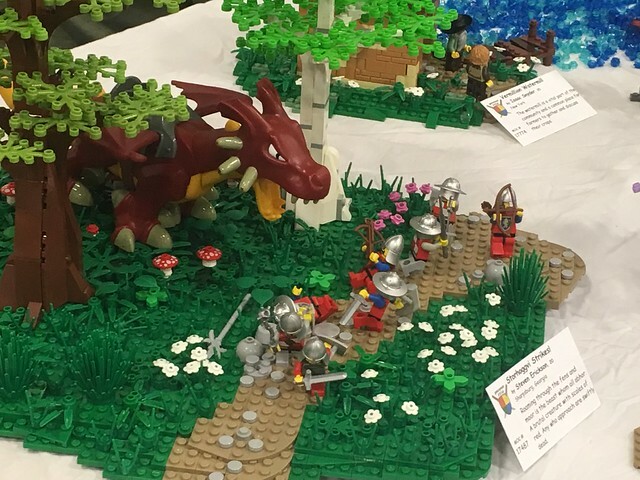 Seeing other people's LEGO creations in person is another reason to visit a LEGO convention. There's just something about getting up close to someone else's work, especially if the builder is there and can talk with you about some of the details and explain how certain parts were built. At least for me (David), creations look a lot bigger in person than they do in pictures. Although we took many pictures, and Isaac and John might have gotten a picture of every single creation there, there are way too many creations to list them here. 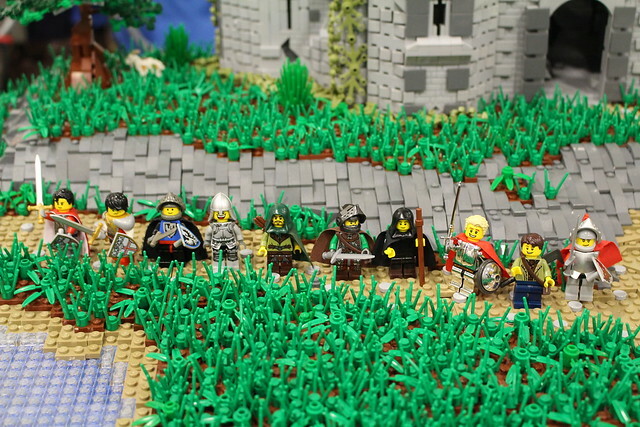 If you like the pictures of creations people are posting online, then you need to attend a LEGO convention... soon! You won't regret it. LEGO conventions like BrickFair attract thousands of people over the course of a weekend when the general public is allowed to come in and view all of the LEGO creations that people brought. Unfortunately, it is hard to have a good conversation about a LEGO creation with someone because that usually means someone else is being blocked from viewing the creations, though the few conversations that are possible are worth it. 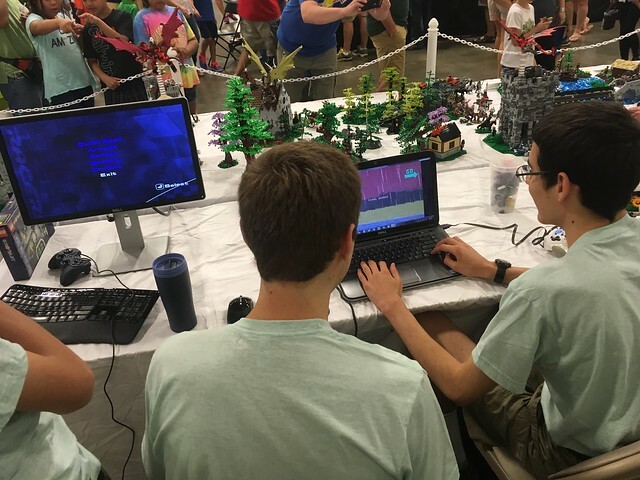 Since the exhibitors need to be by their creations during public hours, we decided to bring a few retro LEGO video games and a few others to play during parts of the public hours. 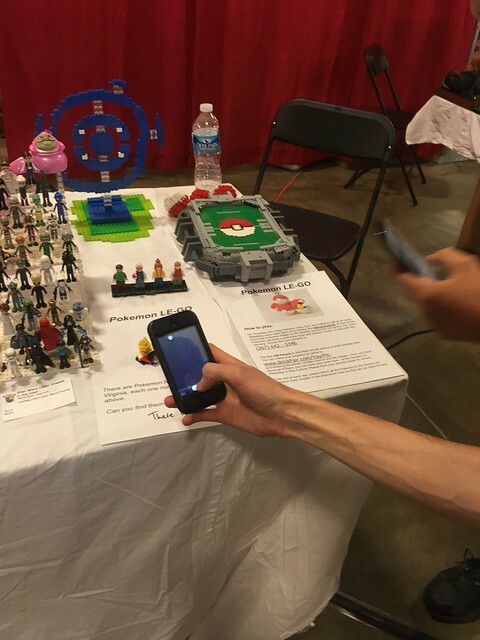 With Pokemon Go phenomenon, several creative LEGO fans decided to have a Pokemon Le-Go game where various LEGO-made Pokemon characters and items were hidden throughout the MOCs all around the convention. It was fun to randomly see a character to "catch." The best part about BrickFair though was getting to hang out with, meet, and talk with fellow LEGO builders. 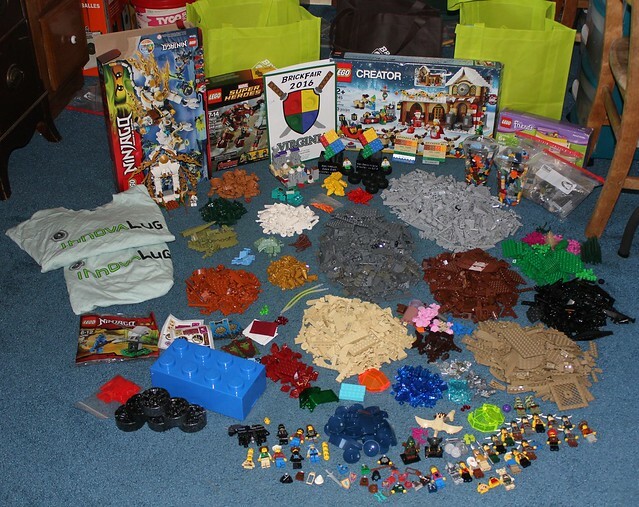 Conventions are worth going for the LEGO creations themselves, but there is so much more to experience if you attend as an exhibitor (even if you end up not bringing anything). Everyone leaves BrickFair anticipating the next event, hoping to hang out with some friends, meet new ones, see awesome LEGO creations, and enjoy all that BrickFair is. Now for some peaks at the horizon...right now we are unsure about who may be able to make it to BrickFair Virginia next year, but we do want to return to Virginia and we have BrickWorld Chicago in our sights. In the meantime, we've got a potential set of four contestants for the next round of ABS Builder Challenge, a Disney castle to look at, a battle contest that you should build for (ends September 30! ), and a (non-castle) contest to appear early next year. Keep checking back here for updates on those things, and for builder-perspective set reviews, building techniques and tutorials, and soon Pick-A-Brick tips. Feel free to speculate in the comments below, or tell us your ideas of what you'd like to see us cover.